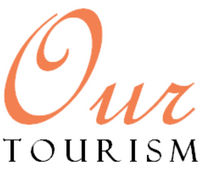 * Do you have a positive message to share about tourism in the Caribbean? * Have you had a phenomenal tourism experience in a Caribbean destination and want to tell the world about it? * Are you an industry professional and want to leave ‘tips of the trade’ for those following in your footsteps? * Or do you have something interesting/ unique to tell us about your country and why persons should visit? Well this is your chance to join the CTO’s Tourism Education and Awareness Campaign, by submitting a short video of yourself (maximum 90 seconds) telling us about what has been on your mind. If we like it, we will post it on our site for the duration of our campaign, and promote your video to all our friends! Videos can be filmed with a mobile phone, remember to dress neatly, and film either on site at your favourite tourism site or in-front of solid colour background for maximum impact. Please contact Kennedy Pemberton (pembertonk @ caribtourism.com) for more details.